As MartyBarfast noted, it was mentioned by the Lackey managing this project - in a post in the middle of the 2nd page of this thread. Certainly easy to miss it if you aren't specifically looking for it. Technically, the two maps serve different purposes - so keeping them BOTH around makes functional sense to the users of the site. There are so many functions that "maps" serve on this website that trying to squeeze everything into one "map" would make it quite cumbersome. The Browse Map has already been revamped and I haven't seen many complaints about it, besides the availability of map layers, and I personally find it quite useful in its current form. Keeping it around would not require more development work, so it doesn't seem like a burden to keep it running. I'm glad they will. My first bit of feedback in this thread was about the cache details preview panel. Cache Status: checkboxes where all options are applied if none of them are checked, but if a few are checked, then only the checked selections apply? This section is very confusing. If the default is that all listed options are applied, then it seems they should all be pre-checked - like how everything is pre-checked in the Cache Type section. I feel like this section is applying the "All" radio button of the existing Advanced Search, but without showing that there is an "All" option. Corrected Coords: checkboxes for on/off. If none are checked then this filter isn't applied, but if one is checked then it is? Confusing. I'm finding it very confusing trying to choose filters when each section is so different from the next. I miss the selection of different maps from OpenStreetMap. In some areas they are simply better than other maps - especially if you are hiking. In addition, you can now select different types that fit better depending on the region. When using Firefox (Version 64.0/64-Bit on Linux ) and set the cache limit to 1000 (Map Setting, How many caches should we show?) I will get an empty map for the next search (almost a white screen) and have no possibility to switch back the setting, because the controls are not visible. I found the same problem using Firefox 65.0(64 bit) on macOS Mojave; except it is now permanently broken for me. I tried doing a search for events and that worked nicely; then cleared that filter and wanted to see more caches as default, so I clicked Settings icon on the map, and selected 1000. That was the last I was able to do. Restarted the browser; that did not help. Now I see a white screen no matter what I do and the settings icon is not showing where I selected 1000 (so I cannot revert). TOTALLY WHITE SCREEN with Firefox Quantum 64.0.2 (32-bit) and Windows 10 has been a problem for some considerable time. I reported it under the first Release Notes thread and later under this thread. Developers have never acknowledged the issue as far as I know - bit frustrating for sure as would be nice to know its on their to-do-list. This fault has never shown up when using Google Chrome. Someone mentioned about the problem appearing when 1000 caches were selected and dropping down to 250/500 seem to solve the problem for a short time, but it soon reverted and now if I move the map manually or pretty well do anything the 'white screen of death' appears again. 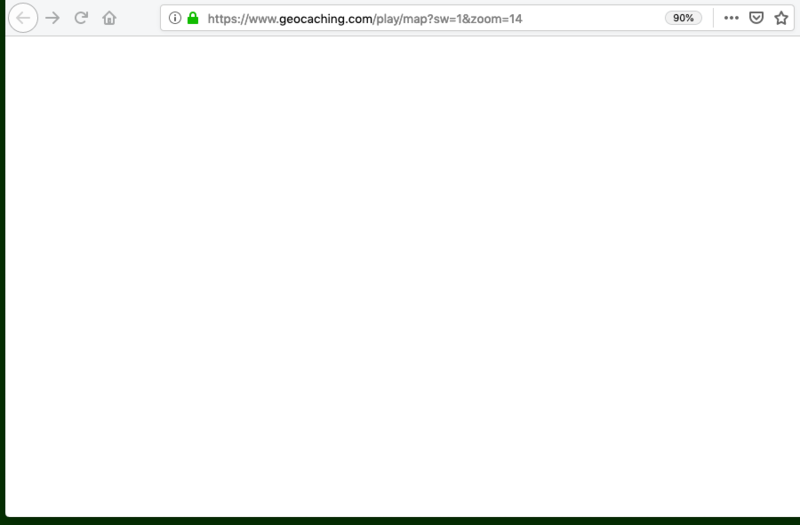 When the white screen shows, I found by deleting everything in the URL box after ... https://www.geocaching.com/play/map the map screen is restroed, so if you see something like this: https://www.geocaching.com/play/map?lat=52.8235642726341&amp;lng=-1.1873817443847656&amp;zoom=14&amp;asc=true&amp;sort=distance then just delete the part shown in grey text and press return/enter. 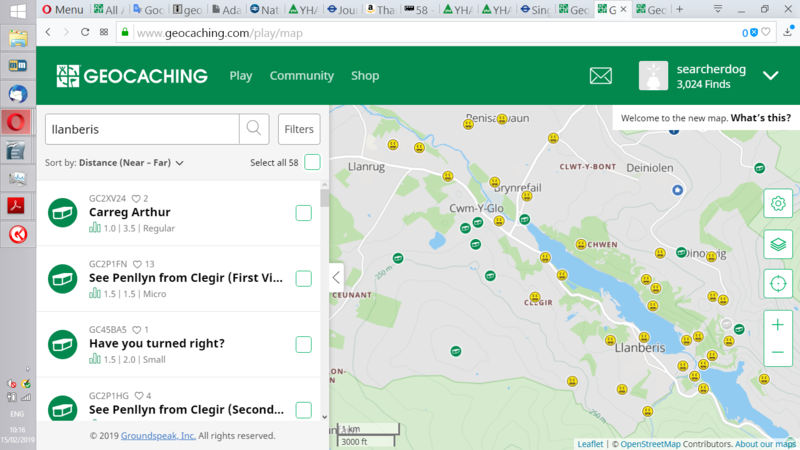 https://www.geocaching.com/play/map gets you back to the search map anytime. Here’s what to look out for with today’s update! One quick note - these were all requests either surfaced in this forum or suggested from community members at large. From the Cache Details Preview, clicking the “More Info” button now opens the Cache Details Page in a new browser window. We’ve pre-pended the Short Description to the Long Description - this is now viewable as one inclusive description on the Cache Details Preview and Cache Details Page. If the cache type is an Event, this is where you will find the time of the event. Lastly, we added a scale to the map - you’ll find this on the bottom left hand corner of the map. Additionally, in case you missed it, we fixed the problems that some reported when viewing the map on Internet Explorer as of February, 5th. TOTALLY WHITE SCREEN with Firefox. It's great to see these long-standing issues addressed, thanks . I can no longer choose openstreetmap, this means that for most caches I can't see the walking paths/roads which means I can't see the route and it is impossible to plan a route for a day of caching without third party tools (why I am paying for premium again?). The new map has made planning a day of geocaching more difficult and more time consuming and frustrating. When moving the map, caches are no longer automatically displayed. Every time you move the map you have to push the button to search caches and event then they aren't all displayed on the map (again, why am I paying for premium?). Personally, I can't name a single thing that has improved with the new map. It has only made things more difficult and I have to use a bunch of third party tools. I thought I'd give the map another go since the new release. I picked my area and sorted by near to far and the result was not as expected. The cache Carreg Arthur is the green trad on the far left of the screen. The nearest to Llanberis is cluster of yellows and the unfound trad Taw next to the plus sign. If I use the old search I get a list of the ones I have found plus Taw at 1.5km and Carreg Arthur at 4km. So, from where does the new map measure distance? The new map is fundamentally different than the old. (2) FILTERS >> cache "TYPE" >> is MISSING CITO Events as a separate item - have to select all normal events and click through each to find the CITO! Bit at odds with the coming season for souvenirs! I use that same setup and haven't experienced this issue even once, so it isn't a global FireFox+Win10 issue. 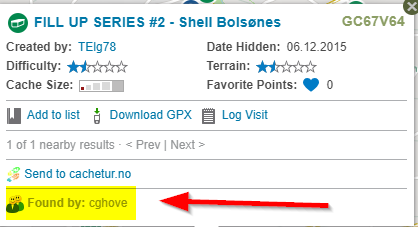 Do you use any add-ons that make changes to the way you use the geocaching.com site? Maybe one of those doesn't play well with the new search map. Something I just noticed - after the first five logs under activity, the option for "View all x logs" is the same as the "more info" - that is, it takes you to the cache page. This link also might also be updated to open in a new browser window. UPDATE after further tests - "white screen" issue ONLY occuring when 1000 caches are selected ... no problems so far when 250, 500 or 750 caches are selected - same repeatable situation whether plug-ins are enabled or disabled. Will monitor the situation carefully but as other folks have reported the same issue, there must be a conflict with Firefox since there is no issue when 1000 caches are selected and using Chrome, on the same computer. With 1000 caches selected and ALL add-ons (Extensions & Plugins) reset to DISABLED ... totally "white screen" still occuring when zooming map scale out (same whether using '+/-' buttons or rolling the mouse wheel) or manually dragging the map with the mouse. This is NOT occuring when 250, 500 or 750 caches are selected. Seems to load more slowly. Also, I like to be able to click on the pocket query tab to quickly get the query mapped. Doesn't seem to be available in the new version. The toggle between the old and new versions doesn't seem to be working for me. Using Firefox on Windows 10. I just did some testing with this in mind. When I first loaded the map, I found that it was still on the default of 500. Once I changed it to 1000, the map reloaded and I got the white screen. I then closed that tab and clicked the "Map These Geocaches" button again, and this time the map loaded fine. I checked, and the setting is still at 1000. 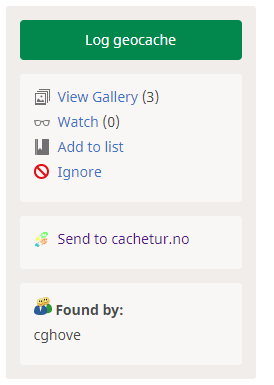 Even after closing this tab, changing the filters of my search, and clicking "Map These Geocaches" again, it still works as expected. The first time I tried changing the filters from the map screen, I got a white screen after clicking "DONE". However, after closing things and trying the same process, it now works as expected. I can change filters, pan, zoom, and "Search this area" to my heart's content and no white screen. So, there's definitely some kind of incompatibility between the map and Firefox, but it isn't consistent. A search in the map returns a blank screen. Using Firefox with Java disabled? Is that the expected return? We’ve made some minor visual improvements to the map’s left hand list view. Now, when you sort by distance or placed date, we display the distance and date on each list item. When you sort by distance, terrain, or size, we’ll highlight the corresponding value on each list item. Here is an example of sorting on placed date, the date for each cache is now displayed on each individual item. Current location marker: We had a little fun with this, and are anxious to hear your thoughts. Now, when you click the current location marker on the map, we show you where your current location is by displaying your personal profile image with a consistent pulse. After clicking the on screen current location marker, my profile image is displayed where I am currently located. This is helpful if you are zoomed out on the map in cache-rich area. We’ve added the cache owner name and the placed date to the map’s cache details preview. It’s been added at the bottom of the view. In addition, we’ve made some bug fixes and optimizations. For me sitting at home on the Central Coast, it shows my current location some 50km away in the western suburbs of Sydney, which I guess is where my internet service provider has some of their infrastructure, so this is not a terribly useful feature. Perhaps it needs an option to use the home location I entered on the website rather than where my IP address implies it is. I have the same issue mentioned by @barefootjeff. The location shown for me is about 100 miles away from where I'm sitting. Yes desktop browsers don't have GPS, so the browser will attempt to determine a location by IP address which is sent in the very same manner that mobile browsers send their direct GPS coordinates. So on desktop, current location is almost entirely useless in this context. If there's a way for the map to determine if the user is mobile or desktop, and to use home location on desktop (or perhaps a custom location), that would be optimal. My "Current 'location" using my desktop (laptop) is pretty accurate. Unless our internet hub is just a couple of blocks away, I'm showing about 0.3 mi as the crow flies difference. I suppose it COULD be where the servers are located, I just never knew where they were! I'm sitting at home right now, using my home internet cable conneciton on wifi, and will be traveling in a couple of days, so I will test it with assorted hotel and home connections as we visit family and vacation. Web sites like maps.google.com , project-gc.com, etc have no issue putting me at my exact location at home or when traveling. Check out https://www.w3schools.com/html/html5_geolocation.asp and "Try It", allowing the site access to your location. It looks like the GC location function needs to be enhanced. Using my laptop, the Search map seems to be centered a few miles east of my home coordinates. The regular map is centered right on my home coordinates. I just tried that w3schools one and it did the same as the GC one, putting me in western Sydney some 50km from home. It puts me at my house as does Google and PGC. PGC's live map centres on the home coordinates I entered on the GC website, while Google Maps again puts me in western Sydney. Maybe it's telling me I need to move house. Edit to add: Curiously, the location in Sydney it's putting me at is a private dwelling so I really don't know where it's getting that address from. I pity its residents, though, as they're probably getting inundated by telemarketers. Further edit to add: A couple of hundred metres east of that location is Rookwood Cemetery. Now that would've been really unnerving if it had put me there. Yes the point is it's not guaranteed. Desktop location determination is a hack to to attempt to locate a computer where there is no direct gps location. It may be accurate somewhat for some, and may not for others. It's not a gps location, it's a reverse lookup with the best information available mimicking a location. The button implication is "center the map on my location". That is not what happens on desktop, even though in some cases the location may coincide. Yes the point is it's not guaranteed. Desktop location determination is a hack to to attempt to locate a computer where there is no direct gps location. It may be accurate somewhat for some, and may not for others. It's not a gps location, it's a reverse lookup with the﻿﻿ best information available mimicking a location. The button implication is "center the map on my location". That is not what happens on desktop, even though in some cases the location may coincide. But whatever W3 is doing as well as Google and PGC works best for me and should be looked at by the GC folks. Sure. GS could keep adding additional means of determine a more accurate location without actually having an accurate location. But is it worth all that effort? On desktop, just use home or an alternate location. It's much easier to go on a map to where you know you are on desktop. The context is fundamentally different than a "mobile device". Anyway, all we're saying is "My location" is not always anything near accurate on the desktop web, and that's a known issue with desktop geolocation. My guess is the Search Map is geared towards mobile phones, not desktop computers. That's why it centers on the ISP location, instead of home coordinates. The Browse Map always centers on the coordinates you set as Home Location. You justhave to choose the right map for the task at hand. Technically the map itself doesn't know if it's mobile or desktop. It uses the built-in browser geolocation function. As I mentioned, on a mobile device, the device has GPS data it can feed the web page script. On a desktop, there's no GPS data, so the browser attempts to provide a best location given the data it does have, then feeds it to the web page script as gps data. The map needs to be programmed in a way to first recognize if it's mobile or desktop, then determine how to get a location. On a mobile device, it would use GPS location. On a desktop browser, it would use ... well, however they decide to program it In some website cases the unreliable IP geolocation is sufficient, depending on how accurate it needs to be. But that's why there's the suggestion to just use the home location or an alternate/custom provided GPS location. If done well, it can be still be a single interface setup available for both mobile and desktop. I know I'd love if I were mobile to have the option of simply jumping to my home coordinates rather than my current location. As it is, you can enter gps coordinates and jump right there already. It really is just that "My Location" function that doesn't (always) do as expected on the desktop browser. When caching with a group, it would be really useful if you could not only choose caches not found by all, but also choose whether or not to eliminate caches owned by any of those cachers. Generally if you're caching as a group you want the caches to be beneficial to all, so you wouldn't want to include something that was hidden by one of the group, but I'm sure there are instances when that wouldn't be the case, hence the option to choose. In general, the type of browser and device it is running on is known to the server responding to the web page/map request. Yes, there are differences in how the device figures out where it is, but the "map" most likely does know what type of device it is serving. Yes, the browser useragent string may contain details about the browser, os, possibly device/machine. That is the only way for browsers to "know" (trusting an accurate useragent which can be easily fudged) what is browsing the website. So the website doesn't "know" if i'ts mobile or desktop, it can only assume, and then adjust how it determines a current location - if on mobile, use the standard geolocation; if on desktop -- well that is the issue, because desktop browsers can only infer a likely location based on reverse IP lookup, which as we know may or may not be anywhere near accurate. Right now HQ has the map 'assuming' a mobile device by letting the browser determine a geolocation, which can be problematic for desktop users who click "My Location". Good to see it's slowly getting better. 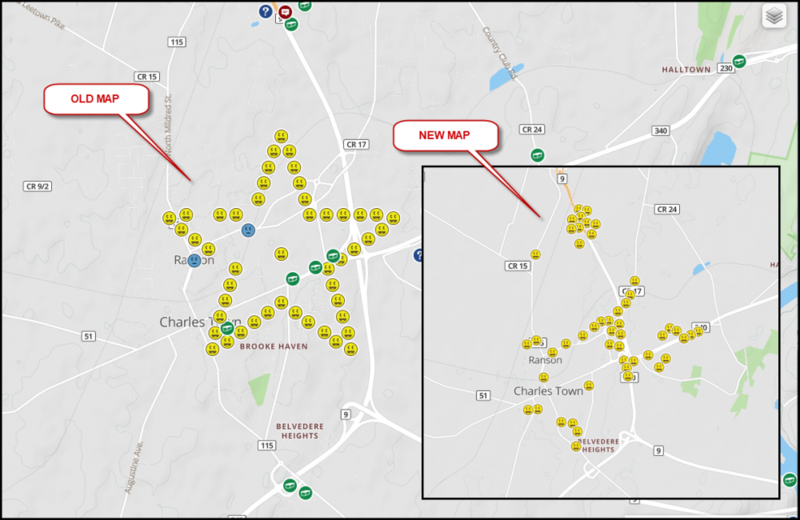 I guess it's time to add OpenStreetMap mapnik layer to the Geocaching and Google ones so we finally have something usable here. Or drastically improve the Geocaching layer. I really don’t like having to click “Search this Area” every time I move around the map. Only 500 caches at a time? Really?!? For pete’s sake, some power trails would take up the entire total. And I have to purposely look for the 1000 button to only increase it to 1000. I think we alll want to look at more than 1000 caches at a time, especially when planning road trips. For me, geocaching is all about the maps. There are some great features with your new maps but I can’t use them for now. Sadly they are just too limiting at this point. Go to the Browse Map, instead of the Search Map. Yep, two maps, two experiences, two purposes. This is the search plotter, it requires much more processing time to apply all the search filters on the map so it should require manual updates, otherwise the server would be hit by search requests with every little mouse drag. There's a fundamental functional difference between a live worldwide draggable map of caches and a highly selective filtering of said results on the same draggable map. That distinction just needs to be made more clear, imo. From time to time I visit the map. I could not find open streetmap, so much better then Google or geocaching maps, more details etc. WHITE SCREEN WHEN 1000 CACHES SELECTED USING FIREFOX & WIN10 - ANY NEWS FROM ADMIN? Several postings by myself and others when 1000 caches selected using Firefox+Win10 ... totally "white screen" still occuring when zooming map scale out (same whether using '+/-' buttons or rolling the mouse wheel) or manually dragging the map with the mouse. This does NOT occur when 250, 500 or 750 caches are selected or when using Chrome with 1000. Can the development team confirm they are looking at this issue? The white screen does not happen when using for example Chrome and 1000 caches. Note that the w3schools site is using the HTML5 location feature to determine your location. If you're accessing the site with a browser which doesn't support HTML5 it is not going to be accurate. If the browser doesn't support geolocation, the website won't get any gps coordinates to work with (the functionality doesn't even exist), so at best, if they have some other backup (for example, the script manually sending your IP to a reverse geolocation service, rather than simply asking the browser for a gps location) then you're still left with potentially inaccurate coordinates. Whatever the case may be, desktop browsers are not mobile devices and don't have retrievable GPS coordinates for the script. "My Location" on desktop should either be disclaimed as not being accurate, or it should just not be available. A "Home" location should be available for both desktop and mobile. Script: (HQ coded) Hey browser, what are your GPS coordinates? Mobile device browser: No problem! Here they are - #, #. Desktop browser (HTML5): GPS? Um... Hold on. *attempts to determine coordinates by locating its IP address* This is the best I can do - #, #. Script: (HQ coded) Oh you don't know what GPS is? Okay then... A] Hold on while I check your IP address and try to determine a location, or B] Sorry I guess you can't use this feature! I'm using the latest Firefox (65.0.2) on Windows 10, so I'm pretty sure that supports HTML5. I got selected to use the new maps .. GEO-ART doesn't seem to work. I did the WV Star last weekend. We solved all the mysteries and updated the coordinated just like always. 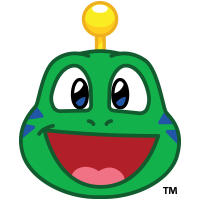 We found the caches, but when I logged them, they stay at the solved coordinates rather that reverting to the published coordinates to show me my start filled with smilies. My wife who is still using the old map has different results. This is what we discovered .. the old map shows the Star but the new map, does not. I'm kinda stuck on the new maps. This seems like a bug to me. Refer to the attached file. Otherwise, I like that fact that you can now zoom out and still see where you are instead of having the world covered with caches. Allows better navigation to an area of interest. It will definitely take getting used to. Still needs work, but there are some good things. Just remember, there are still a lot of people that use the website from a desktop / laptop computer and not a phone. We have a phone app for that.